Super pass only 3 minors! 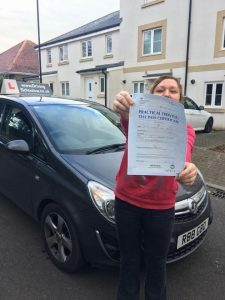 Huge congratulations to Valentina who has been having Driving Lessons in Paignton and finally battled through the nerves and passed her Driving Test. Valentina chose The Driving School sw for her Driving Lessons and with a great drive passed with just 3 minors.